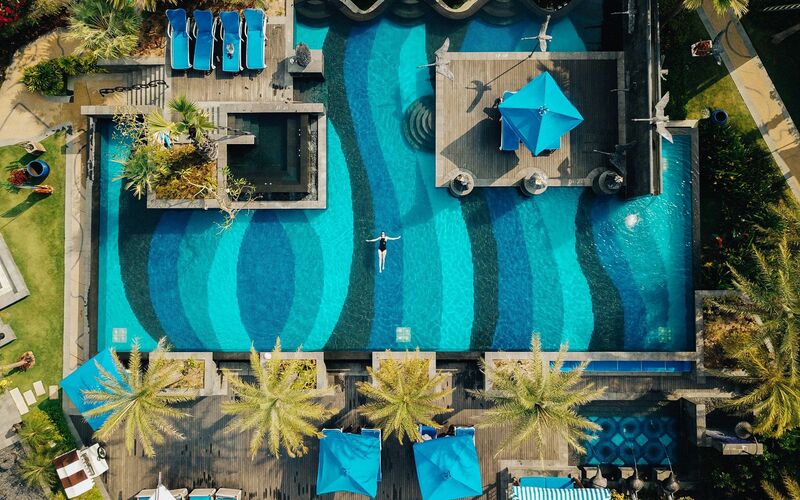 From sprawling beachfront resorts to towering city hotels, these award-winning properties and others have gained an international nod of approval with their world-class standards of hospitality, cuisine and luxury. Whether you’re in the mood to book yourself a spa treatment or plan that long-overdue couple’s retreat, we hope this list ignites your wanderlust for more luxurious staycations this holiday season! We’re not the only ones to be impressed with Sofitel Kuala Lumpur Damansara’s luxurious interiors – the swanky Damansara Heights hotel took home the title of Most Luxurious Hotel Lobby in Malaysia along with Best Spa Design, Best New Hotel Spa (for both Malaysia and Asia) and Best Luxury Spa in Malaysia. Honoured yet again at this year’s Haute Grandeur Global Hotel Awards at Palazzo Versace Dubai, Hilton Kuala Lumpur landed several prestigious awards in multiple categories including Best Luxury Hotel, Best Lifestyle Hotel, Best City Hotel and Best Restaurant Hotel with 3 more awards for its spa and gym facility alone. Here’s Avillion Port Dickson’s claim to fame in 2018: the beachfront spa resort was crowned the winner in the Luxury Family Beach Resort category of the World Luxury Hotel Awards, also clinching the title of Benchmark Achiever in the HAPA Malaysia Awards Series’ Family & Recreational Resort category. But hey, don’t take the expert’s word for it till you’ve tried a stay there yourself. Another proud recipient of multiple awards at the 2018 HAPA Malaysia Awards Series is The St. Regis Langkawi, most notably recognised for the innovative concept at its Kayu Puti restaurant among other glistening accolades for its exceptional hospitality and luxury. Spa-lovers who are planning on hitting Gaya Island Resort this year will be pleased to learn that Spa Village Gaya Island was recently awarded the “Destination Hotel/Resort of The Year’ at the 2018 AsiaSpa Awards. From restorative spa treatments rooted in age-old Kadazandusun and Bajau practices to a lush mangrove backdrop, Spa Village Gaya Island is sure not to disappoint.